Card Room Delights: 3rd Birthday! I am very happy with how the card turned out, especially considering I started the card three times! 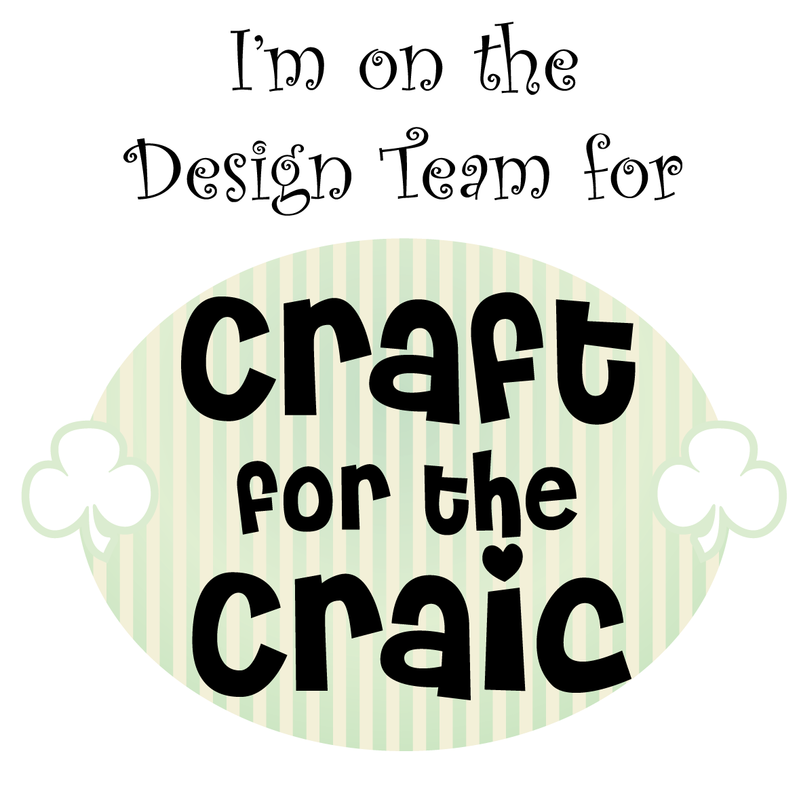 I had awful trouble trying to think of a card to make. All printed paper I had was too old for her, so eventually I found some polka dotted paper I could work with. I cut out an oval scalloped edge from a silver pinstripe board. I then used my Big shot to cut out the digit 3 from foam. I also used the Big Shot to cut out all the letters for Sarah. 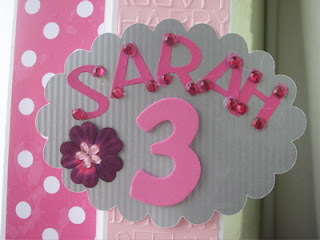 I put the jewels on the letters, and stuck the flower embellishment onto the centre of the flower. For variety, I used an unusual fold for the card. It is kind of hard to work out from the first photo, so the photo above might give a better angle. 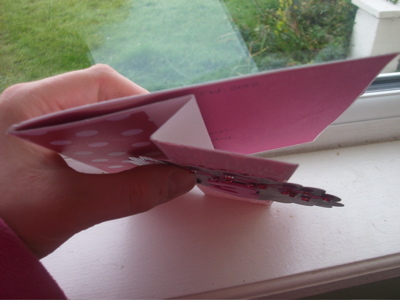 For the middle panel, I embossed some pink card and stuck it down. My embossing folder was not long enough to emboss the full height of the card (210mm) So I embossed both ends of the pink card and matched them up, or as close as I could get. I then stuck my silver scalloped oval on top. We had a great birthday party, and really enjoyed making the card when I eventually decided what I was doing!! Aww Sarah's card is Sooooooooo Cute!! 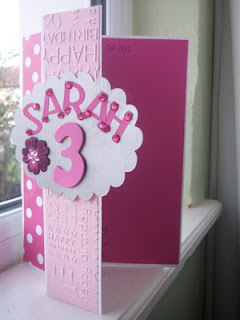 Great card,love all that pink and the embossing folder.